As of 2015, 29 percent of the world population did not have access to safely managed drinking water and 61 percent did not have access to a safely managed sanitation service, according to a World Health Organization and UNICEF report. Additionally, more than 40 percent of the global population is affected by water scarcity, and that number is projected to rise. Meanwhile, more than 80 percent of global wastewater is discharged without treatment. Water is perhaps the most vital natural resource on the planet. It is necessary for human survival and a critical input into our food, manufacturing, and energy systems. 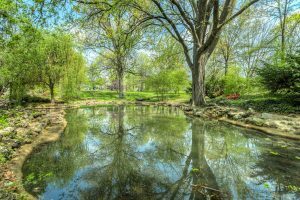 It also sustains the ecosystems and climates upon which both our built and natural world rely. 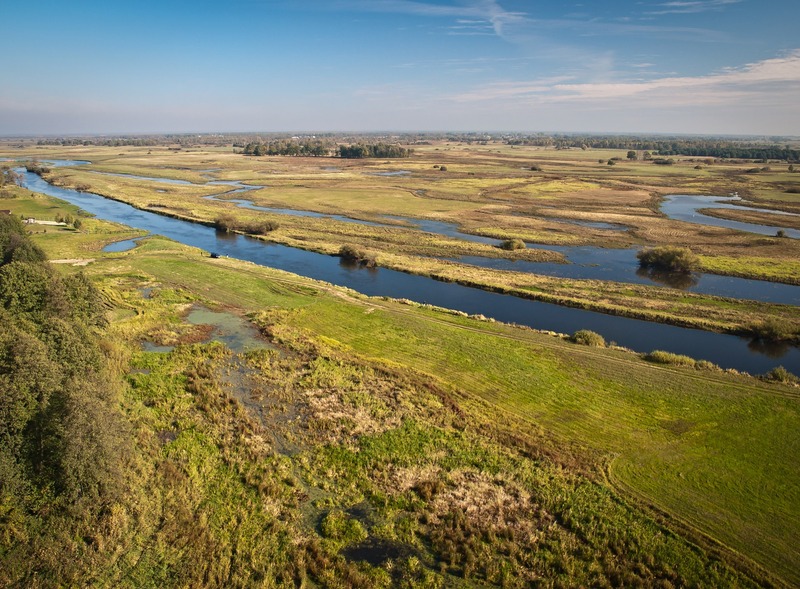 Today we are putting more pressure on freshwater resources than ever. 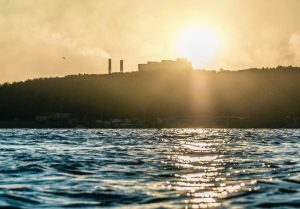 Between a rapidly growing population and a shifting climate, water stress – and therefore water risk – is increasing around the world. The United Nations Sustainable Development Goal 6 is focused on water, with several sub-goals related to different water challenges. We have seen promising progress, but there is much work to be done to make water sustainability a reality before the SDG target date of 2030. 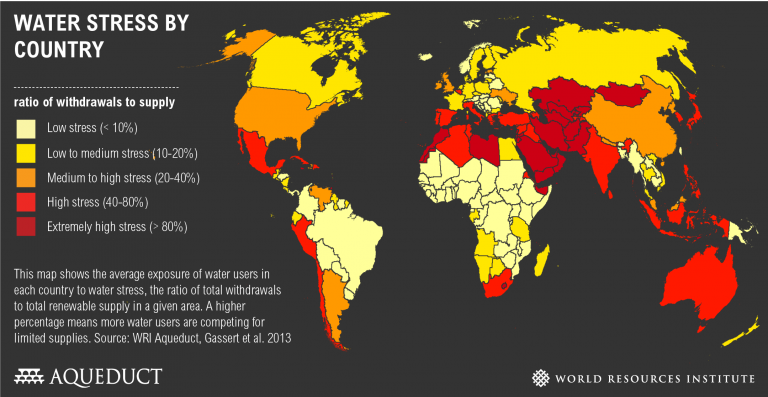 Global water stress map. Source: World Resources Institute. No one need explain the true value of water to 54-year-old Elizabeth and her family in Port Moresby, Papua New Guinea. She spends more than half her meagre salary on buying drinking water from a local water vendor, as she knows the water from the nearby lake could make her unwell, unproductive and unable to provide for her family. Elizabeth knows that installing a safe water supply and decent toilet close to her home and market stall makes good business sense. She’ll spend less money on buying water. And a decent toilet will increase her productivity and reduce her absence from work, because she’ll get sick less often. In the long-run, if $1 were invested in water and sanitation, an average of $4 would be returned in increased productivity. Imagine now that instead of Elizabeth working at an independent market stall, she works in the supply chain of a multi-national food retailer. The lack of access to water, sanitation and hygiene (WASH) in her workplace could cost the company millions in lost productivity; every year, the equivalent of US$4 billion in working days are lost due to poor sanitation. 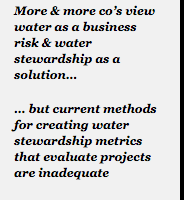 Current methods for creating corporate water stewardship targets—which often ignore the unique local context of water issues—are inadequate. 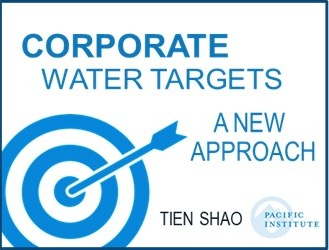 For companies to succeed as water stewards, they need a new generation of targets. Such targets—based on the local context and guided by the best available science—would help ensure long-term business growth in the face of increased competition and depletion of water. There is strong bipartisan support for expanding investment in the nation’s water infrastructure as part of a broader infrastructure effort. But there is, as yet, little agreement about what specific investments should be made. 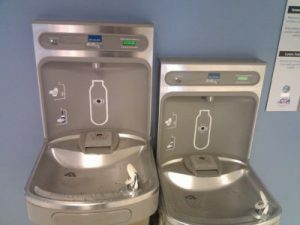 Here is one idea: expand access to high-quality and safe municipal water by improving access to drinking fountains in schools, parks, public buildings, and around public transit areas.